A new study conducted the Max Planck Institute for Human Development and Charité University Medicine St. Hedwig-Krankenhaus shows that playing video games can significantly increase the size of a person’s brain. 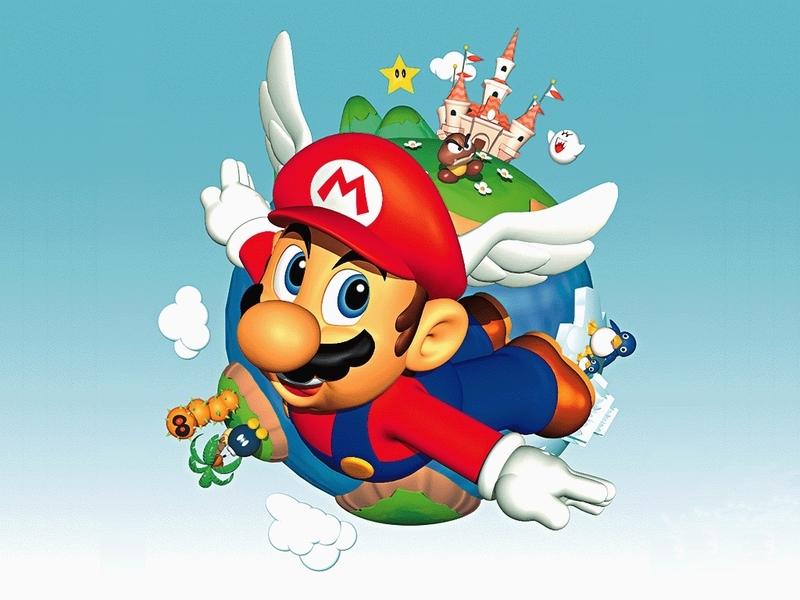 The right hippocampal formation, right dorsolateral prefrontal cortex, and bilateral cerebellum, which are areas of a person’s brain that govern spatial navigation, strategic planning, memory, and motor skills, all experienced notable increase in size when subjects played Super Mario 64 for at least one half hour per day over a period of two months. Only second to one.. And you know who that is. The answer is Classic Nintendo. You said it like 5 times now. Classic Nintendo needs to come back. Well you people need to step it up! A single clone would send shockwaves across humanity. An entire legion would mean the next chapter in human history. Video games are bad for you? That’s what they said about rock n’ roll- Shigeru Miyamoto. My parents don’t want me to play games because they think it will interfere with with my academics. Well just don’t play a whole lot, maybe like 2-5 hours a day, any more than that and thats bad and you need to stop playing games. Then get your own money and they have 1 thing to bug you about. Oh trust me. I intend to. It will if you spend alot of time on gaming. All of the top-achieving students in all of my classes play video games. My success in school increased significantly once I got into video games (not so much in terms of marks – those were already great by my standards, but I found a huge jump in organization, as well as improved focus and time management skills). In short: Video games don’t hurt academics unless you play them so much that they get in the way of everything else (not likely). They probably don’t want you to play to much, School is more important, and video games can be bad if you play alot. I’m not trying to brag, but I’m doing REALLY well in school. Currently, I’m only playing Kid Icarus: uprising’s online multiplayer. I’m just waiting for my Wii U, and hopefully later on, a PS4. Nintendo does it again, he’s doctor Mario after all, I hope doc is a costume change in the next ssb…. I was playing grand turismo 5 and now I fear for my brain… a brain can take so much from skyline variations. If that happens with Mario games how about people who play Zelda? With the puzzles + bossbattle attacking patterns it should train your brain more. The internet cancels out any brain grain that may be found, though. Pretty much everything makes your brain better in certain areas, the key is to find an activity that makes every part better and no part worse. What if they include the cod series in the study? Yes but in humans the evolution has proved that our brain has grown a lot during millions of years giving us more intelligence and faster mental cognition, so you can’t compare us with an elephant, we’re the most different mammals of this planet. Actually. Brain proportion is what increases how sufficient a brain works. So technically speaking a bigger brain proportionately can increase intelligence if it’s not using the extra it has for stupid reasons. I’ve played video games since I was 5 and I ain’t no Einstein. Einstein was bad at Maths when he was younger and… well, look where he got. I have been playing a lot of Pokemon lately and befor anyone laughs…I’ve been doing the Ev training a lot specifically……thats math training if i ever saw it. Now I have a great excuse to play Sonic Generations!